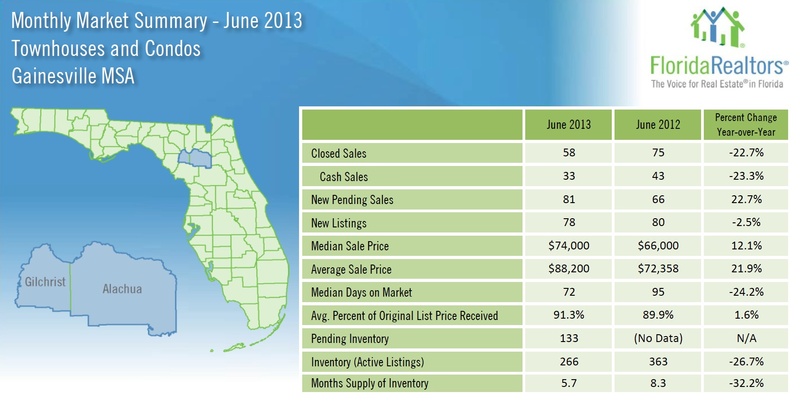 The National Association of Realtors (NAR), Florida Realtors (FR) and the Gainesville Alachua County Association of Realtors (GACAR) released their June sales numbers this month. The national June numbers were below expectations but well ahead of June of 2012. 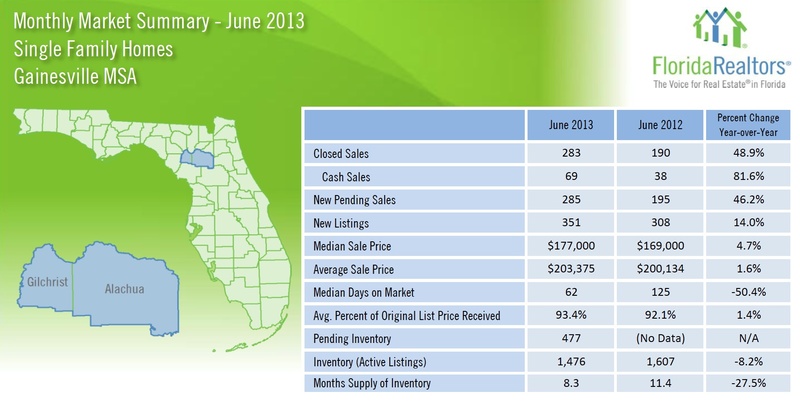 The Gainesville MSA report shows the overall number of closed sales are up 49% from 2012 for Single Family Homes. The median days on market fell 50%, from 125 to 62 days. Closed condominium sales, which are reported separately, were actually down 23% in the area. I asked Perry why the local condo closed sales are down, he said “It was a dead cat bounce in 2012” and pending sales in Condos are strong as many University of Florida students, professionals and professors look to close before the Fall Term begins. Pending sales for Condos are up 23% from last year. It was noted that there is one less business day in June 2013, than 2012. Case Shiller reports their national home price index tomorrow at 9am EST. Friday the Jobs report will be released and is forecasting a decline in overall unemployment.